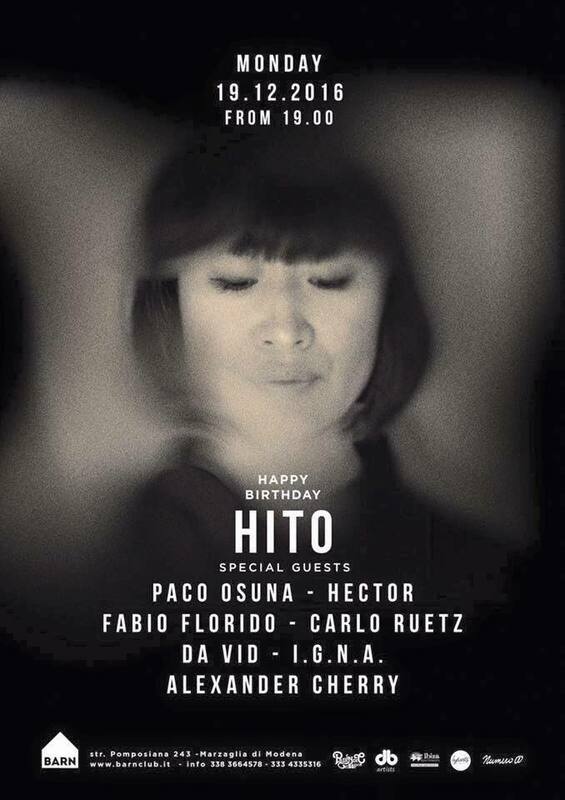 From Fabric London over to Playa Del Carmen via Ibiza back to Berlin, Hector is rapidly establishing himself as one of the most exciting young producers and DJs on the planet, effortlessly balancing his will to experiment with commitment to the founding spirit of house. Mixing up styles and moods but always focussed firmly on the dance-floor’s needs and desires, Hector’s selections nod to house music’s past but engage fully with its future; his sets have energy, precision and soul. He’s no slouch in the production department either with a string of high profile releases to his name. Most recently “Piano Hispano EP”, a release he produced with Pablo Cahn, and his own EP “Hispanic Causing Panic’ on 8bit have caused a stir among high profile DJs worldwide. As well as having an exclusive track included on the ‘5 Year Anniversary’ Mobilee compilation released in the summer of 2010, Hector is mixing the first compilation for Ibiza’s biggest new party, ‘The Zoo Project’, for which he recently became a resident. He is also developing a new alias ‘Los Vatos’, through which he wants to experiment with different genres of music from disco to hip hop and to work more with live singers. Hector hails from Guadalajara, Mexico and began DJing at the age of 16 when he heard visiting European DJs play on their rare trips to his city. Inspired by the sounds of Carl Craig, Moodyman, the Timewriter & Terry Lee Brown Jr., Hector soon came to realize that his future lay in music. He began to dj in one of the best clubs in Mexico, Bar Americas, run by Ramon Gonzales who has since become one of Hector’s biggest supporters and a big influence on helping Hector get where he is today. After a strong start in his home country, Hector headed for England, fell in love with the capital’s music scene and has remained there ever since. Spinning in Ibiza, he befriended Simon Rigg, boss of Phonica Records (the nucleus of London’s house and techno community), and started a part-time job at the Soho store upon his return to London. 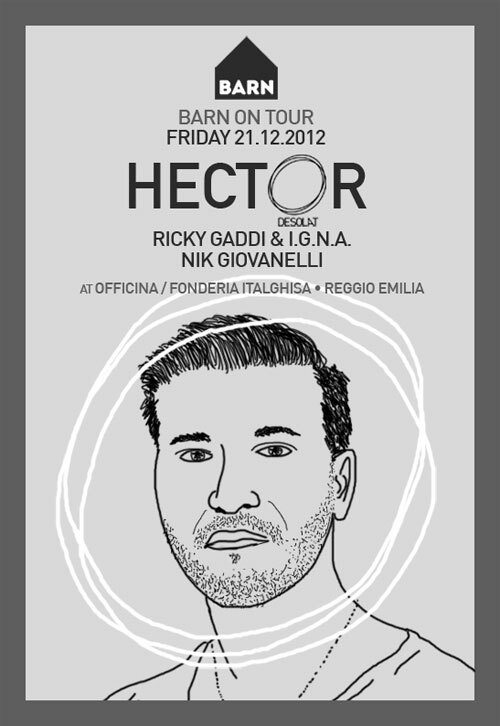 Hector’s knowledge and infectious passion for cutting-edge music has transformed him into one of the shop’s most recognizable faces and having been the first producer to release on its new label he has recently stopped working in the shop, to focus his worthy knowledge on the imprint. 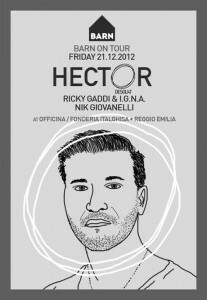 2010 is shaping up to be a big year for Hector: working closely with Pablo Cahn, Dyed Soundorom, Alex Picone, Anthea & Celler and Massimo Di Lena, he is focusing on his production and djing, With so many big projects in development, this is set to be the breakthrough year of Hector’s career.